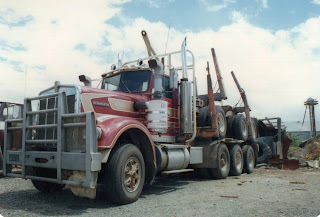 The Road Ranger Blog: A Dozen More Truck Pix. 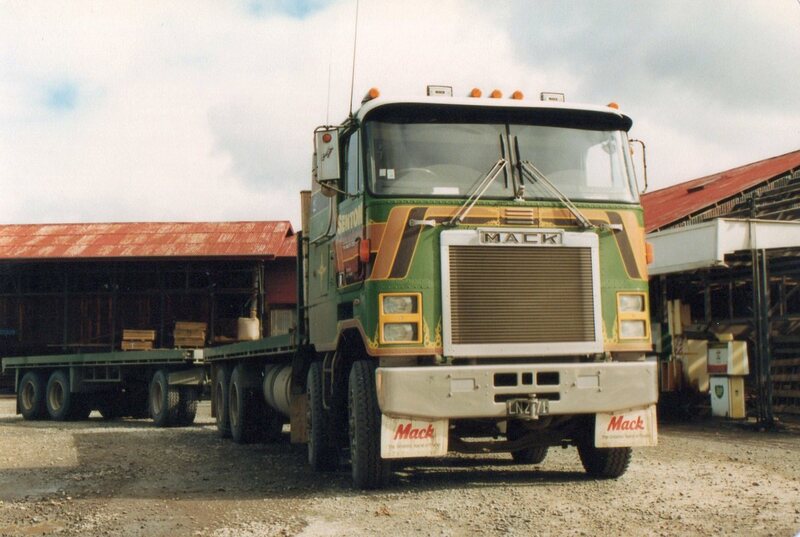 The Senton's 8-wheeler Mack Cruise-Liner was employed hauling timber. 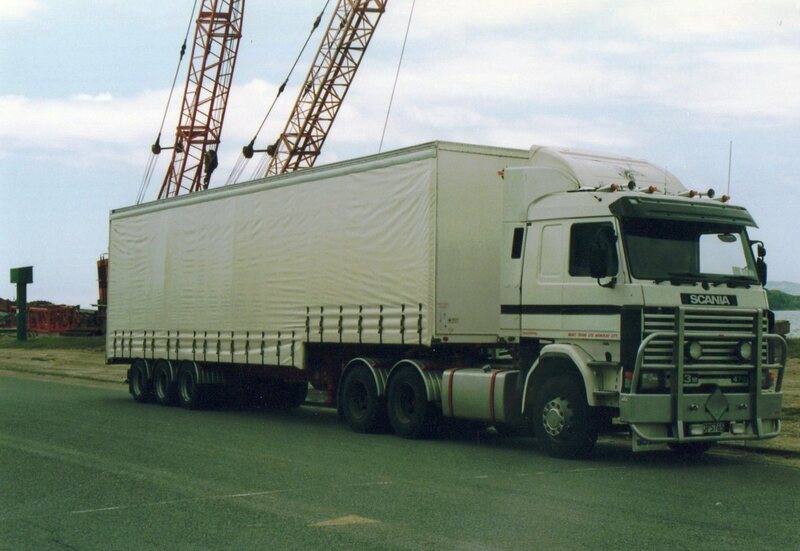 Well sheeted load on this Inglis' Foden flat deck doubles in A-train configuration. 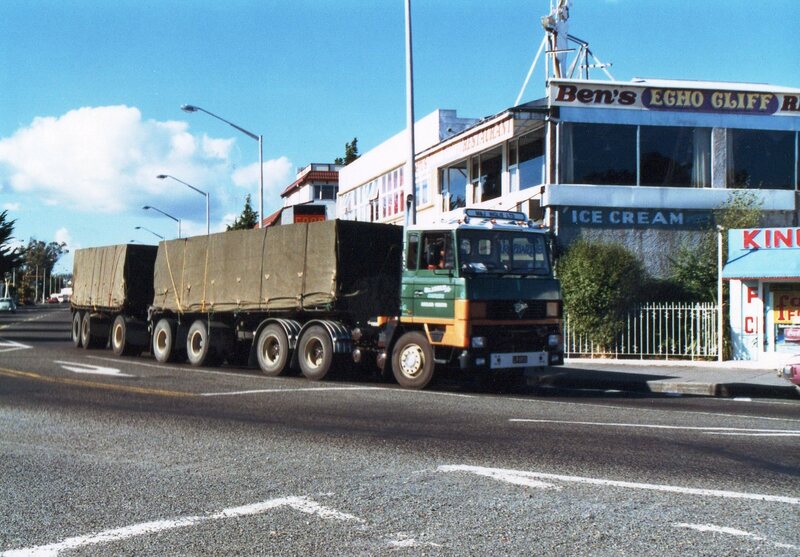 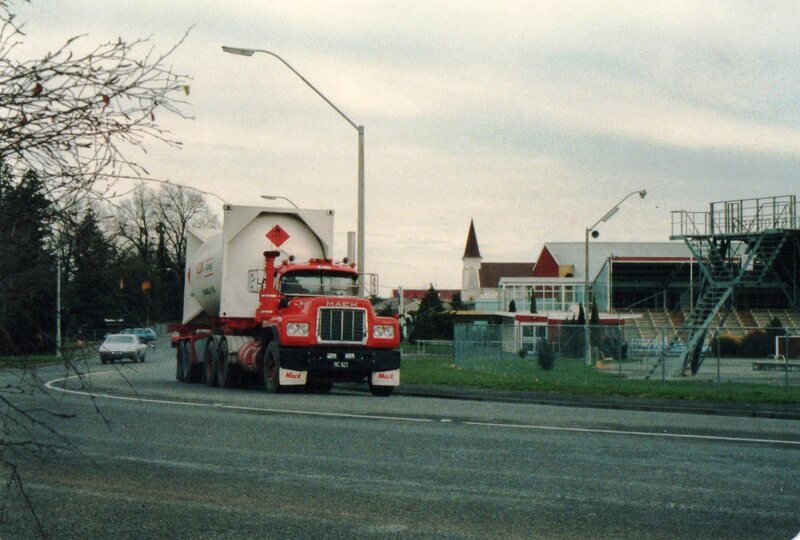 This photo taken in Taupo's main street is a sight no longer seen since the heavy traffic by-pass was constructed. 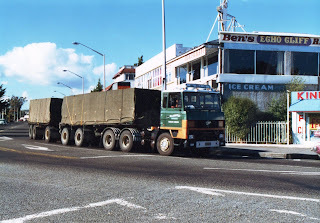 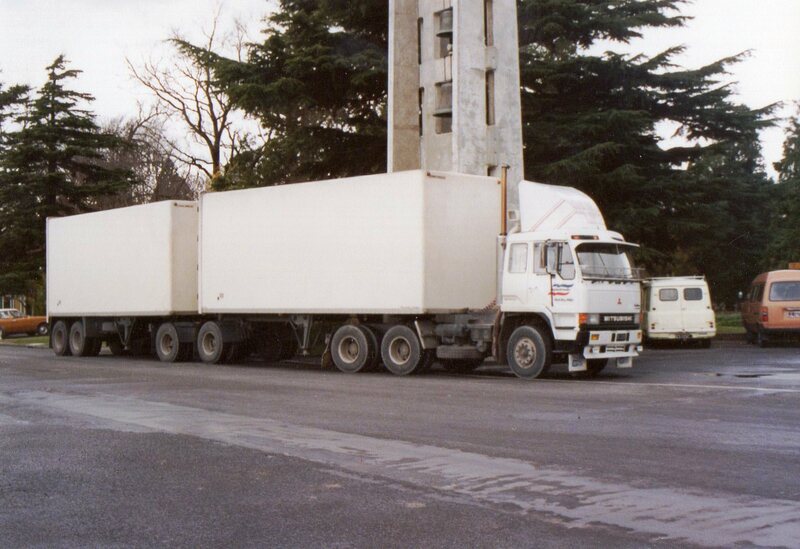 Also in Taupo is a Kevey's Scammell, with an extra high load on the trailer. W model Kenworth logger with additional axle. One of the many single drive Mack R series operated by RFL pulling refrigerated A-trains. 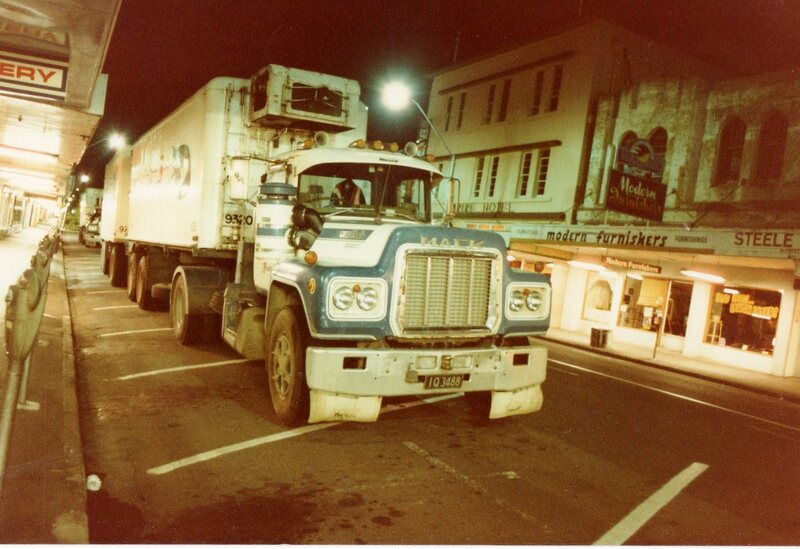 Another one parked in the background, in Masterton's Queen Street overnight. Another R series, this time a tandem drive, pulling a gas tank past the war memorial stadium and pool at the north end of Masterton. 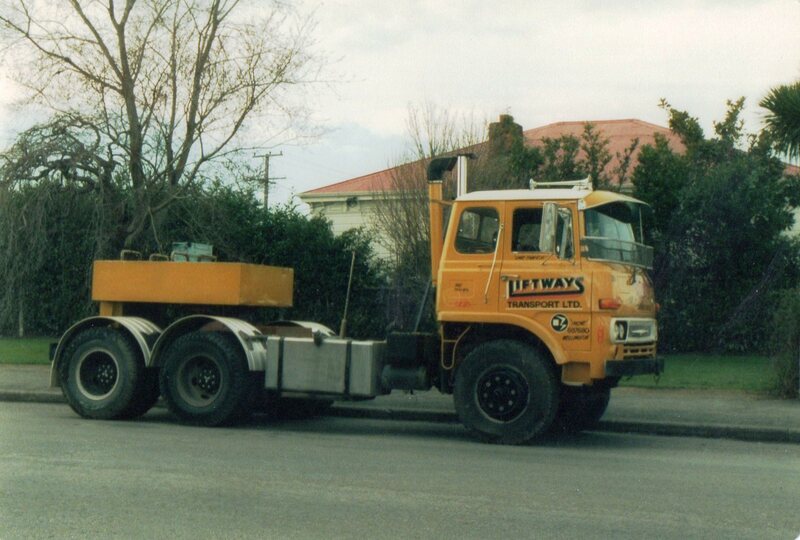 Heavy duty R series with V8 power of Freightways used for towing heavy and/or over dimension loads. 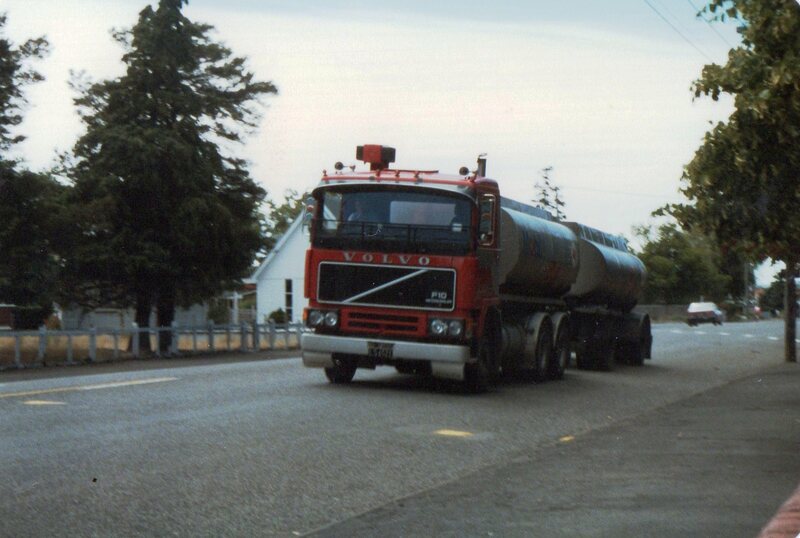 Volvo F10 6-wheeler fuel tanker with 4-wheeler trailer. Australian International ACCO Eagle. 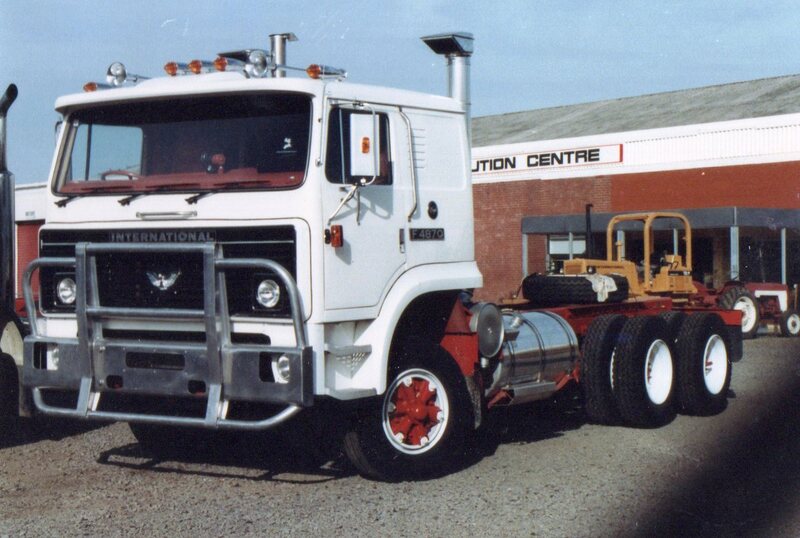 This was the top spec model with many extras both inside and out. 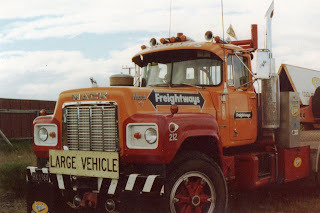 A similar model was also marketed wearing an Atkinson badge. Very plain Scania R143M with stepped 3 axle curtain-side. Fuso of Liftways running as a ballasted tractor. 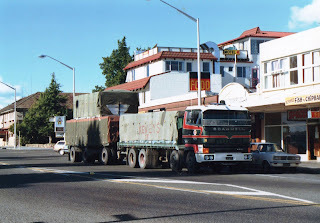 White Line Freighter's Mitsubishi, with Aulsebrookes' colours on the door, takes a break in central Masterton with its B-train vans.